Boaz, can you please post the pic? 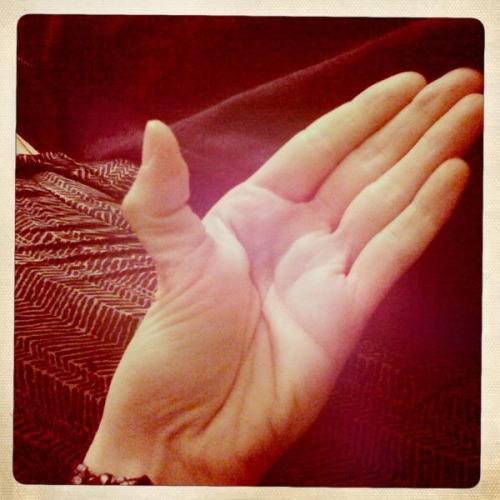 Yes, if you can do the 'double jointed thumb' trick... that is actually a clear indication for hypermobility (hyperflexibility). Also, I think the opening angle and stiffness are arbitrary measures, which should better not be associated with hypermobility / hyperflexibility. Thanks Martijn, I was pondering bit over Fincham's chapter on the thumb. I don't think he mentiones double-jointed thumbs. He defines hyperflexive thumbs as a very flexible thumb at the base joint. But there is no mention of whether the upper joint is concomitantly flexible or not. I don't think I fit the description, though I do enjoy freedom and don't appreciate work for the sake of work, and do like to have fun, but at the same time I probably fit more the disciplined end of the spectrum. 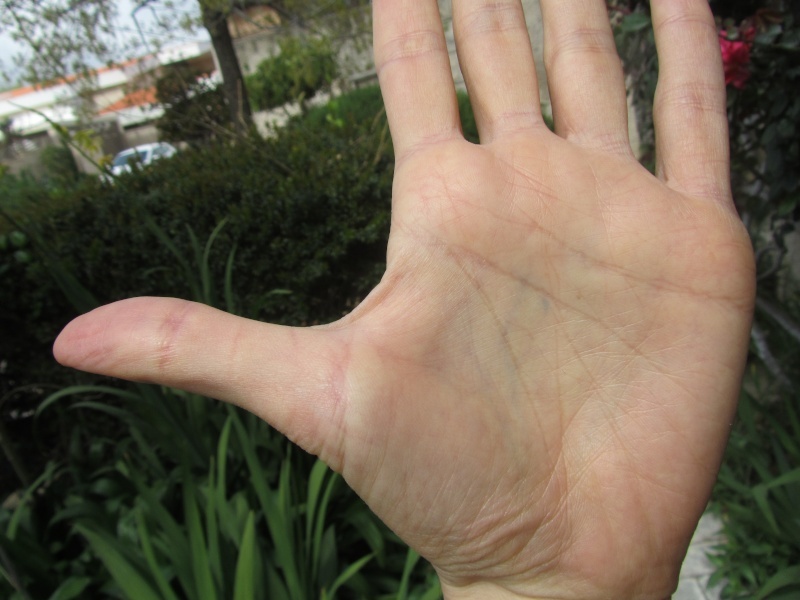 When talking about the angle of the thumb, it's common to also check whether the thumb is set high or set low. 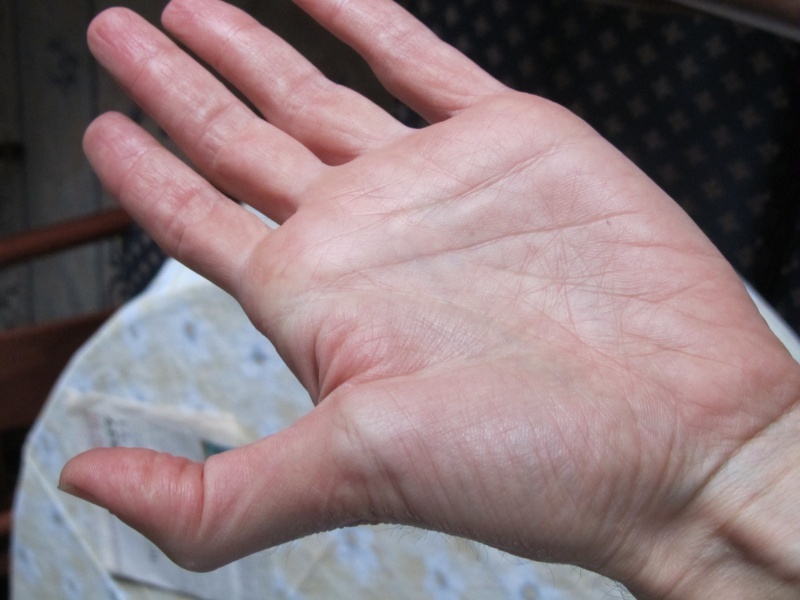 Often low set thumb has natural ability to have larger angle and the opposite for high set thumb. Posting images of my thumb. Natural (widest opening) versus double jointed (hyperflexive). Top and bottom views. zaobhand wrote: Posting images of my thumb. Natural (widest opening) versus double jointed (hyperflexive). Top and bottom views. Sorry Boaz, I see no evidence of a hyperflexible- nor a 'double jointed humb'...? 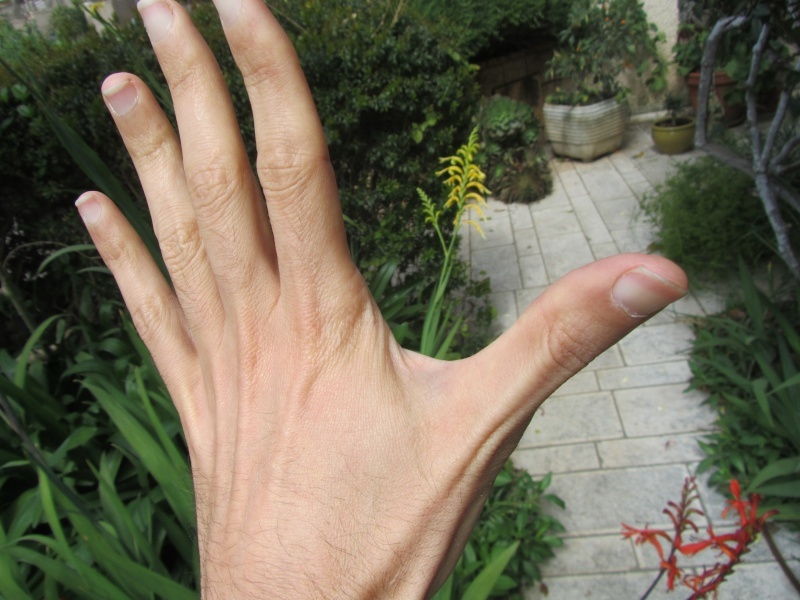 If you really have a 'double jointed thumb' you should be able to make a strange thumb-posture - like is for example seen in the picture below. Here it is but probably with smaller bending angles. zaobhand wrote: Here it is but probably with smaller bending angles. ... 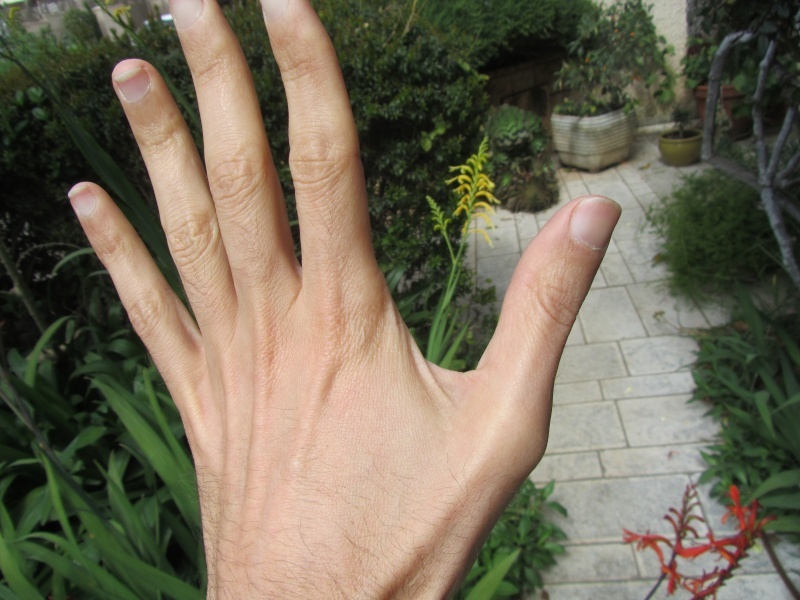 Yes, that looks so much more like a true 'double jointed thumb'! My first response was 'ouch' but I know it doesn't hurt! Just looks broken. Patti wrote: My first response was 'ouch' but I know it doesn't hurt! Just looks broken. 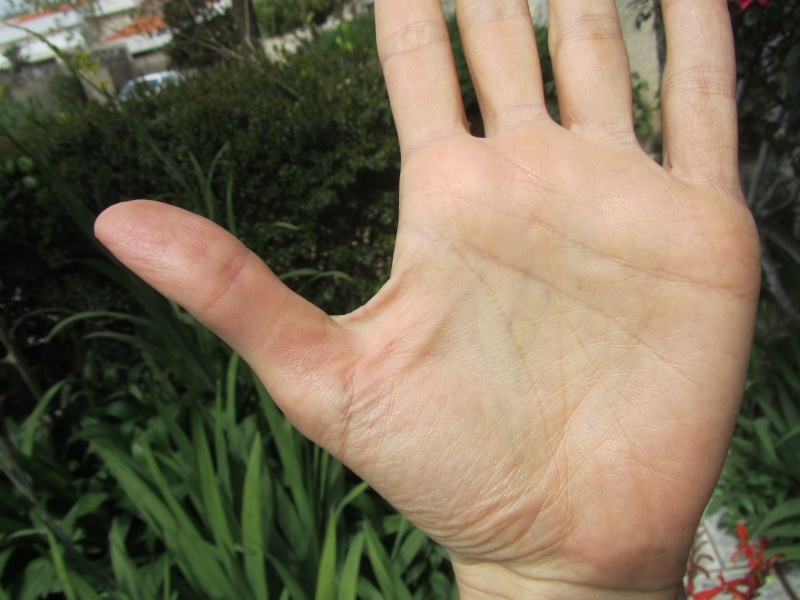 So, does double jointed have the same indications as hyperflexive thumb? Fincham's interpretation doesn't fit me. I can be adaptable when things make sense, but not over-adaptable and definitely not appeasing..